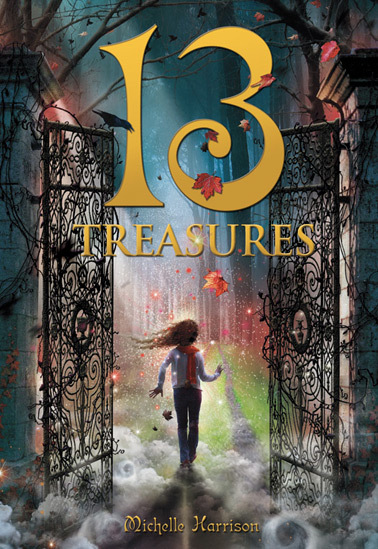 Michelle Harrison is the lovely author of the 13 Treasures books, a young adult trilogy about a girl with the ability to see fairies, and her twisted family legacy. Both Smugglers read and loved 13 Treasures, and lucky UK-based Ana finished the trilogy and loved it even more. 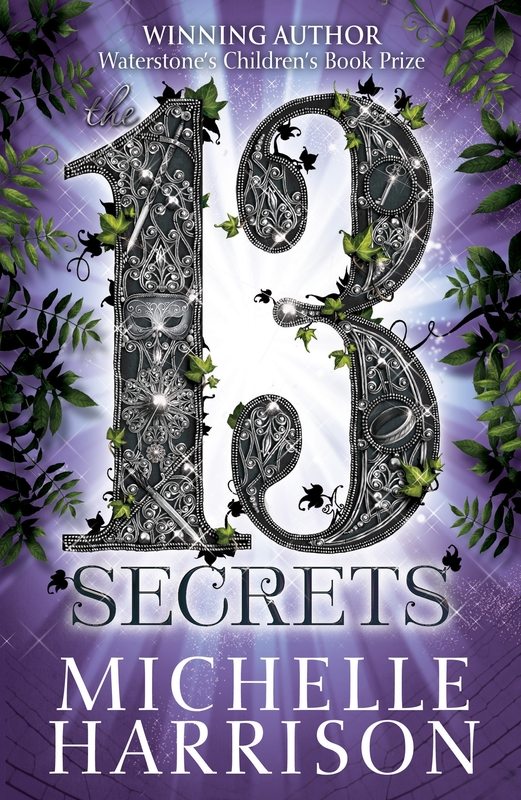 In celebration of the release of 13 Secrets, the third book in the trilogy, we have the wonderful Michelle Harrison for a guest post and a giveaway of the entire trilogy. Please give a warm welcome to Michelle! My two older sisters, Theresa and Janet, were a huge influence on my wish to be an author and illustrator. From an early age they read to me, and even made up stories of their own (usually starring me as the heroine)! Theresa was a gifted storyteller, and both were good at drawing, so I often got illustrations to accompany these tales. They weren’t always kind! Janet in particular was a tease, often drawing a character with a mean, warty face and presenting him as my future husband, which sometimes made me cry. But it was also Janet who came home one day and announced: ‘I’ve decided. I’m going to be an author.’ I followed the first few chapters of Down the Tomato Hole (based on some sort of game she and Theresa had played when they were small) with interest. It was never finished – she lost interest, but even so, it had sown its seeds. Being an author had not occurred to me before, but with that, it somehow became a possibility. The books my sisters read to me were musty, yellowing hand-me-downs from the 70s, and the vast majority were by Enid Blyton. The woman gets a lot of criticism these days, and yes, her books were of her time but I remain loyal: she’s the reason I became a reader. Naughty Amelia Jane, Mallory Towers, and especially the Famous Five – I read them all. I loved the independence of the characters and the excitement of their adventures, which will be obvious to anyone who reads my work. Secret passages, anyone? The next author to have an impact on me was Christopher Pike. I’d been through my Point Horror phase and was already writing derivative short stories. I discovered Pike at my local library. I fell in love. I was inspired. I wanted to write those kinds of stories; with killer twist endings, and a knack of making the fantastical believable. I carried on writing, attempted a novel I didn’t finish. It didn’t matter. It was practise. When I left school, I knew I wanted to be an author and illustrator, but if someone had told me I’d be writing about fairies in ten years’ time I’d have laughed in their face. I kept diaries which, thankfully, I destroyed, and at the start of art college wrote lots of TERRIBLE poetry. The introduction to fairies came from my tutor, Iain Lowe, himself a talented artist whose work I pored over. 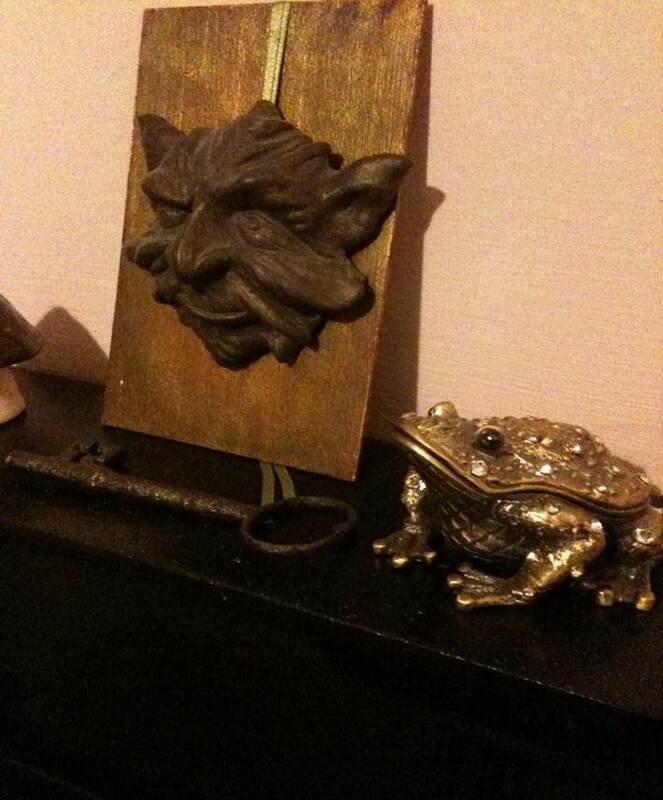 He presented me with a book called Faeries by Brian Froud and Alan Lee. I was immediately taken with how beautiful it was, and how removed these creatures were from the glittery, sweet things we’re brought up believing in. These fairies were wild and sinister, and the accompanying folklore wove a spell of its own. My artwork instantly took on a new direction, and I began to want to write about fairies. The idea for my main character came from my niece, Tanya. When she was two, her mother (Janet) went to see a medium who said Tanya would grow up to be psychic. Remembering this, it occurred to me that I could use it in a story, and that her ability could be to see fairies that no one else could. Those were the beginnings of The 13 Treasures. I’m constantly inspired by what’s around me: people, places, objects. For me, the fantastical becomes possible when it’s melded with reality. 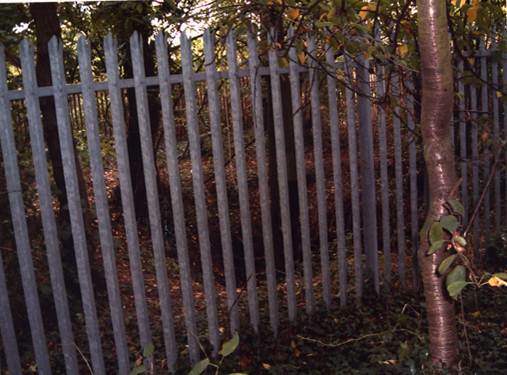 Hangman’s Wood, mentioned in the 13 Treasures books, is a real place that I grew up near to, and the deneholes in the woods exist as well, though my renaming of them as ‘catacombs’ is my own. 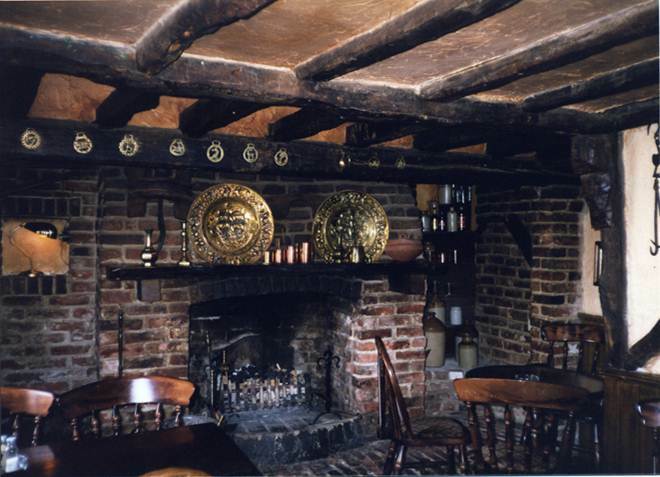 Similarly, the servants’ staircase at Elvesden Manor is inspired by an identical one in an Essex pub, which was blocked off just as it is in the story. By now you’ve probably gathered that I’m a bit of a magpie. I think of these snippets of places and people as trinkets that I can hide away until the time comes to weave it into a story. In my personal life I’m no different; I’ve always been a knick-knacky person who would rather spend money in a flea market on an 18th century key or a jewelled frog than clothes. 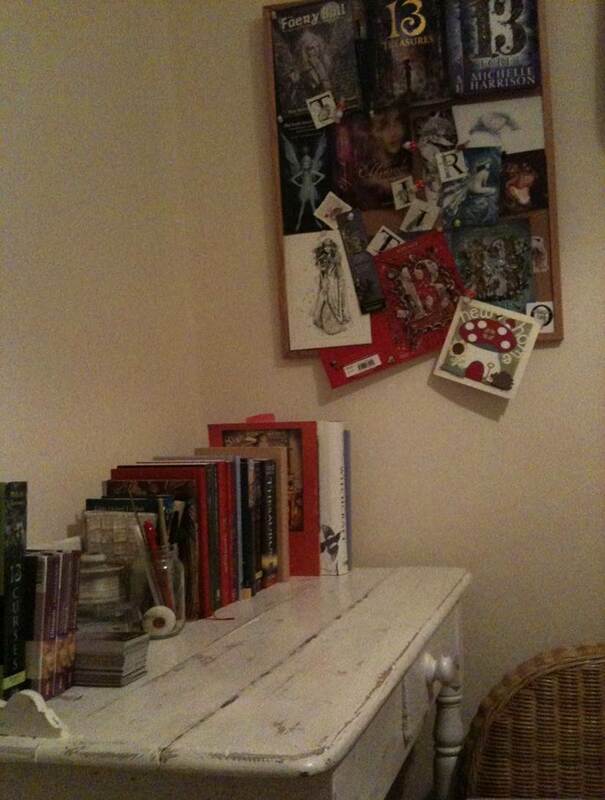 My study room is just the same, crammed with ornaments and pictures, anything I find inspiring. The problem I have now it dusting it all, but sometimes I just tell myself that a bit of dust doesn’t matter. An ancient key or charm bracelet swathed in cobwebs is so much more mysterious, don’t you think? We are giving away a full set of the 13 Treasures trilogy: 13 Treasures, 13 Curses, and 13 Secrets, to ONE lucky winner. This giveaway is open to everyone, and will be open until Saturday, February 5 at 11:59PM (PST). In order to enter, leave a comment here letting us know what is your favorite fairy story (short story, novel, series, film, whatever). Good luck! Kyaaaaa! OMG, I been wanting this series for some times. I hope I win! And yeay for Enyd Blyton reader. I used to read them when I was a kid, and yeah she received plenty criticism these days but her books suitable for people at that time. That is why I strongly disagree toward any censor, stay true to the original helps us to understand more about the past. Favorite fairy story… does Grimm’s fairy tale considered as fairy story? what a great giveaway! I’ve put this series on my wishlist since seeing it here! I love fairytales (have all of Andrew Lang’s color fairy book and several other compilations), but one of my favorite stories is ‘Sleeping Ugly’ by the remarkable Jane Yolen. I haven’t had a chance to read this series yet. Would love to win it. ooo, ive heard lots of great things about these books, i would so love to win them! i love some comics/graphic novels with fairies, such as auberon’s tale and the books of magic. i also loved last light of the sun by guy gaveril kay, which has some faerie elements to it. My favorite fairy series would be Melissa Marr’s Wicked Lovely series. I know it’s the first series that comes to mind if your big on YA but I was astounded at the quality and the characters. There is so much going on at times that it confuses even me. The Magical Legend of the Leprechauns hallmark TV movie from the late 90’s. Even now, more than a decade later, I still adore it and love to rewatch it. Since it’s the most recent, I’m going to pick Guardian of the Dead as my favorite. I like evil fairies. Of all the fairy stories I’ve read, the Fever series by Karen Marie Moning is definitely my favorite. Thanks for the giveaway, after reading your reviews I’m really excited to check out this series! My favorite fairy story is the Wicked Lovely series. 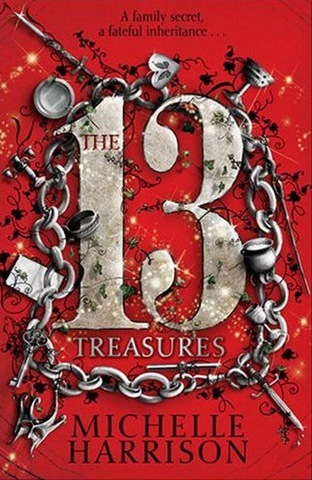 I can’t wait to read the 13 Treasures series! This trilogy sounds really interesting and I would love to win! The most recent fairy book I read was Guardian of the Dead and I loved it! I’ve always loved Cicely Mary Barker’s flower fairies books. I remember poring the wayside fairy book when I was little, then scouring our yard for signs of those same fairies. It’s my birthday on the fifth! If that is not reason enough! I have loved everything to do with faeries for as long as I can remember 😉 and would love nothing better than books that that they are the subject matter of! Hope to hear from u soon. I’m fairly new to the YA and fairy worlds…(last year or so), so I’ve only had one introduction into fairy reading! That is “The Iron King” by Julie Kagawa, which I really enjoyed. I’ve been sneaking peaks at this series for some time now. Thanks for this giveaway! My favorite fairy tale film is Ever After with Drew Barrymore. It’s a wonderful take of Cinderella and I enjoy it every time I watch it. Oh, Enid Blyton, me too, me too. I never read Amelia Jane ( english is not my native language) but read everything of hers I could find. I think my utmost favorites were the Adventure books, and then Famous Five. And the school books. I have a major weakness for books with that *feeling* so I am really interested in this series now. Favorite fairy tale, Tam Lin, though I am not crazy for any of the many many book adaptations. Recent fairies, the ones on Maggie Stiefvater Lament and particularly Ballad, though I really don´t like her werewolf books. Remember that old Tom Cruise movie “Legend?” Where there is a demon (Tim Curry, i think) killing unicorns and Tom Cruise is out to save them and he is a faerie. Or maybe and elf….it has been a lot of years since I have seen it. I like the animal/fairy myths – selkies and such. I also thought the depiction of the fae folk in Patricia Briggs’ books was well done. That’s where I first heard that you should never say “Thank you” to the fae so, just in case, I will say I am glad you are offering these books as a prize. Love to win the set to read with my daughter. As for my favourite fairy story…I recently re-read Robin McKinley's Beauty and remembered how much I utterly adore it. But my heart with always lie with Hans Christian Anderson’s A Little Mermaid because it was the first thing I ever read to have a properly tragic ending and I thought it was beautiful. Hm. My favourite fairy tale would have to be Cinderella, but my favourite retelling EVER is Goose Girl by Shannon Hale. It’s pretty much perfect. I cut my reader teeth on Enid Blyton, too. Amelia Jane and Christopher Robin are still my top picks for baby names. I’d have to say my favourite fairy story would have to be La Belle Dame sans Merci, both the Keats poem and the painting by Waterhouse. 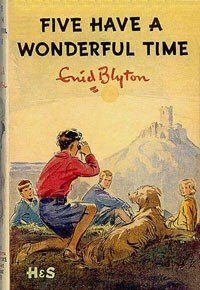 I grew up reading and loving Enid Blyton books. What good times! Thank you for running this contest. My favourite fairy series is Wicked Lovely by Marissa Marr. I have many other favourites, but that one really stands out right now. I’d love to read the rest of the 13 Treasures trilogy. I got to read the first book and it was brilliant! Would love to win this series! Thanks a lot! I actually haven’t read many fairy stories, so I’ll go with my favorite fairy tale, which is Beauty and the Beast. I also love Anderson’s original Little Mermaid, which is so sad and heart-breaking, that you can’t help but remember it after you’ve read it. Beauty and the Beast! Guh! Love that! Oh my! I am really really excited for the next two book to be out inthe US. I just totally snarfed down the first one (with a side of Hot chocolate and cinnamon toast for fortification). My favorite fairy story would probably be “A Midsummer Night’s Dream” by Shakespeare. I always hated it until I had to study it for a university class, and peeling back the many layers of the play in a classroom setting helped me appreciate how awesome it really is. I really love fairy stories. It’s so hard to choose. The book that comes first mind is Tithe by Holly Black…I also absolutely adored Perilous Guard by Elizabeth Pope. Pretty much anything Tam Lin really. An Unearthly Knight by McNaughton is really good too. Thanks for reminding me of them! I love all sort of fairy tales and myths. From Grimm’s tales, to Russian folklore. I think my favourite book with fairies is War For the Oaks by Emma Bull. It was the first book I read where Faeries were something to be feared. And of course something to be loved in some cases! My favorite book of fairy tales is one that was my father’s when he was a boy–Old Swedish Fairy Tales, by Anna Wahlenberg…lovly stuff! I’m not sure if this would be considered a fairy story (hey, it has magic and a woodstick fairy! ), but I love Pan’s Labyrinth. It’s a beautiful, gorgeous film that definitely made me want to escape to to Princess Moanna’s world! I love Fire and Hemlock by Diane Wynne Jones, a retelling of the Tam Lin fairy tale. One of my best friends has a Brian Froud fairy tattooed on her arm. It’s gorgeous. I don’t know if it quite counts as a fairy story but I’ve always loved the movie Labyrinth. It’s so much more messed up than people believe it to be, it’s got great character designs, some truly dark moments, fun music and a wonderful dream-like atmosphere coupled with reminders of how wonderful your imagination can be. Plus David Bowie’s…stage presence. 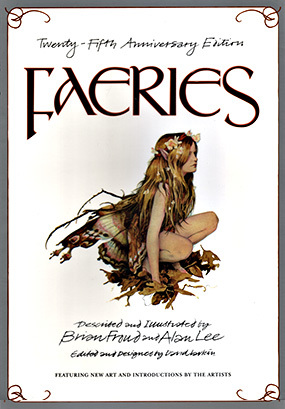 Yay; Faeries by Brian Froud and Alan Lee has been one of my favourite books for years too. In terms of favourite fairy stories, then I really fell in love with the more recent Wondrous Strange trilogy of novels by Lesley Livingston. I just checked out the first book based on the review here. It would be awesome to win the trilogy. I look forward to reading them. My favorite fairy story actually comes from a children’s encyclopedia and talked about how pansies sort of look like they have faces because some are actually fairies. If you pulled off the petals, you might find a hidden fairy. Needless to say, I ruined several of my mom’s plants when I was five. i can’t say i’ve read all that many fairy novels. the only one i can recall is Wings and Spells by Aprilynne Pike which i both hate and love. Love because they’re addictive. Hate because I don’t like the guy laurel is currently with and find some parts boring. Did Septemius Heap have fairies? No…neither did the hunger games or maximum ride or fire or graceling…hmmmmmmmmm………… oh well, i suppose i’ll just have to go with Wings then because i DID like wings, just had some guy issues with spells, though i was throughly addicited. Great post – i too was weaned on enyd blighton and remember mallory towers and the famous five with a great deal of fondness. Love all of brian froud’s work – he’s fabulous! Looking forward to the 13 treasures! This was the set I was drooling over on Twitter this morning. Fabulous books. Didn’t realise Michelle was from Essex. The names of the places she mentioned sound awfully familiar. I grew up with the Enid Blyton books too. My favourite fairy books are Tithe and Rebel. I liked Lament by Maggie Stiefvater, Little Grrl Lost by Charles de Lint and Storm Born by Richelle Mead. Thanks for the great giveaway! Can’t wait to read these! I adored the Supernatural episode “Clap Your Hands if You Believe” which aired earlier this season. It piqued my interest in fairies and since then I have put several book titles on my tbr list, including this series. Seanan McGuire’s Toby Daye series! Loved 13 Treasures too, can’t wait to read the rest. I think that my favorite fairy story would probably have to be Holly Black’s Tithe. I love the traditional Changeling story told from the changeling’s point of view. My favorite book was Faeries by Brian Froud and Alan Lee. My grandmother had this book and we would always look at it together. I really loved Storm born by Richelle Mead. However my favorite fairy book would have to be Little, Big by John Crowley. I think Holly Black’s “Tithe” sealed the deal when it came to faeries and me. I also really like “Wicked Lovely” and the third book in Julie Kagawa’s series, “The Iron Queen”. My favourite fairy stories at the moment are Lament and Ballad by Maggie Stiefvater. And of course, the Sevenwaters series by Juliet Marillier, and O. R. Melling’s Faery novels. Right now, I’m loving the Melissa Marr series. I’m looking forward to and dreading the next one because it’s the last. I just don’t want it to end. To have the entire trilogy at once would be so, so delicious! Favourite fairy story is Wicked Lovely. My favorite fairy series is the Fever series by Karen Marie Moning. I gotta go with Wicked Lovely. I can’t really decide… but the first one that came into my head would be The Iron Fey by Julie Kagawa. Team Ash!! I think my favorite fairy story has to be Tam Lin– the original or Pamela Dean’s version. My first favorite fairy story or novel was also “The Fairy Rebel” by Lynn Reid Banks. Thanks for the giveaway. I would love to win this. My fav right now would be the Iron Fey series. Jack of Kinrowan by Charles de Lint. This series looks really interesting! Does Stardust by Neil Gaiman count as a book about fairies? If it does then that’s my favorite. LOL. If not then probably Maggie Stiefvater’s Lament and Ballad. I’d say of recent times the WICKED LOVELY series by Melissa Marr has never steered me wrong though Tinkerbell they are not. In my younger days, there was this awesome book of Fairy Poems for Young Readers that I still remember one of the poems from by heart. Tithe and oh, I really want these books! My daughter and I both agree on How to Ditch Your Fairy. When ever someone asks what my favorite fairy story or movie is, the first thing that springs to mind is Snow White and the Seven Dwarves. So blame it on Disney but it was those cute little dwarves that did it to me. There are probably many other stories that are better but I am brain-washed. Hi Ho, Hi Ho, Its off to work I go. ! My favorite series involving fairies? The Artemis Fowl books 🙂 Not fairies in the traditional sense, but still wonderful and lovable and awesome all around. I haven’t really read any, so I would have to say tinker bell in peter pan. I’ve been wanting to read this series for ages! I’d have to go with the Wicked Lovely series by Melissa Marr. I loved Wicked Lovely series by Melissa Marr and Holly blak’s books, too!! OMG. I’m so excited for this!! I WANT these books! Favorite fairy story is really just my favorite fairy, and I’m not being original here, but Tinkerbell in James Barrie’s Peter Pan is my favorite. Even though Peter Pan isn’t per se a “fairy story,” Tink wins hands down, so that’s my fave! Does the movie LEGEND count – I think it had Tom Cruise in it- and I want this set really bad my -middle son loves to read my books with me. So far I like “Stardust” by Neil Gaiman and a lot of YA books. Bu my favorite fairy story was written by a French author Lea Silhol. It is called “Musiques de la Frontière” – “Music of the Frontier” in English – and it is really beautiful, set in our world. Changelings appearing suddenly all over the world, how they are rejected by their families because they are different and the city – Frontier – where they will find a home. As for favorite fairy story, I have to go classic with Peter Pan. Love the whole idea of fairies as a metaphor for belief and childhood. I soooo want these books! I don’t know if it’s my favorite fairy story but right now my daughter and I are listening to Dandilion Fire by N.D. Wilson and it has fairies in it but they are your tinklebell type of ones. They are short and pudgy! It’s kinda funny to hear it that way! This is on my TBB list after I saw your review(s) and recommendation. Duno how it slipped my radar though! My favorite fairy tale.. I will go with the October Daye series by Seanan Mcguire (again, based on your reviews!). I love books about faeries, they’re easily my favourite sub-genre. I think Holly Black’s Tithe will always be one of my favourites, book & author, as it was the first fey book I had read. Talk about a lasting impression. Wow! this books looks interesting. I love to win of course. Thanks for the giveaways! For my favorite Fairy story, Actually I have read only few fairy books and so far I’m loving The Iron Fey series by Julie Kagawa. My favorite story is the classic tale “East of the Sun, West of the Moon” and I have already read two retellings “East” and “sun and moon ice and snow”. I love fairy tale retellings. I’m so thankful to Michelle for sharing her inspirations! Please enter me in the giveaway. My favorite fairy story is the movie FairyTale about 2 English girls who believed they photographed a fairy in 1917. It’s based on a true story & is SO good. X3 oh man! I’ve been checking this book and its awesome cover at the bookstore for quite some time! I have to say, it was Holly Black’s Valiant that first hooked me into the Faerie world and I would LOVE to read this and add to my collection too! Oooh, these books sound intriguing! My favorite fairytale is The Seven Swans (beautifully retold by Juliet Marillier in Daughter of the Forest). Enid Blyton’s books were favorites when I was a child. My current favorite fairy story is The Replacement by Brenna Yavanoff. My favorite fairy movie is Pan’s Labyrinth. I really really love the story and I watched it many times. My favorite fairy series would be Melissa Marr’s Wicked Lovely series- it’s superbly written and so unique. I loved reading Christopher Pike books when I was in my teens, sadly I gave them all away when we moved house when I was 18. I wish I still had them, I’d love to reread them now. The fairy stories that first spring into my mind are Cicely Mary Barkers Flower Fairies. My favourite was sweet pea and lavender, we had those flowers at the bottom of our garden and I was convinced I would find a fairy there one day. I think one of my favorites is the Wings series by Aprillynne Pike. Anyway. For favorite fairy story, I’m going to go with one of the first UFs I ever read: Emma Bull’s WAR FOR THE OAKS. Oh, I’m definitely entering the giveaway–these books sound fantastic! It occurs to me I actually haven’t read many fairy stories–I do remember loving “War for the Oaks,” though, so I’ll go with that as my favorite. I adore them in all forms, but if I had to pick just one, it’d be Andersen’s The Snow Queen. It’s breathtaking; and I later on learned it was my mother’s favourite as well. My favorite is the Wondrous Strange trilogy. My favorite is The Iron King by J. Kagawa. Looking forward to this giveaway! Thanks! The whole series?? Omgosh, I’d love to win thata!! My favorite story with fairies would have to be The Spiderwich Chronicles. Your enthusiasm for this series is absolutely infectious! I have moved it to the top of my reading list and hope to get to it before the end of March. Not sure if I qualify for the contest (being in Toronto, CA) but I also wanted to share my discovery/new love of faerie-fiction. It actually started with Maggie Stiefvater’s ‘Shiver’. I read the first and second, started following her blog and the Merry Sisters of Fate…I simply couldn’t get enough of her…and I stumbled upon Ballad and Lament, which became instant favourites for someone who didn’t even know they were a fantasy reader, much less wolves and faeries. I followed that up with Holly Black’s Modern Faerie Tales trilogy and more recently Brenna Yovanoff’s The Replacement. So far, Maggie Stiefvater’s duet is still my favourite, but I also found The Replacement to be quite a brooding, eerily beautiful and memorable read. My favorite faerie book is Jonathan STrange and Mr. Norrell – what an intricate, dark world! I would love to win this set! Thanks so much. My favorite fairy series is Karen Moning’s Fever series…But I haven’t read very many. This sounds like such a terrific series! My favorite fairy stories are Fire and Hemlock by Diana Wynne Jones and The Perilous Gardby Elizabeth Marie Pope! My favorite modern fairy tale is Ash by Malinda Lo. My favourite fairy stories is, I think, Holly Black’s Tithe and Ironside.They have that lovely sinister feeling about them. Perilous Gard, or Wicked Lovely. 😀 They both started me into reading YA, but different veins. i have serious want for this series! it looks uh-MAZE-ing. My favorite fairy story of all time is Stardust by Neil Gaiman. He is a genius in general and this story is engaging and magical with just a touch of darkness. I have 13 Treasures on its way to me in the mail. Unfortunately in the US 13 Curses will not be available until June and who knows when we might get 13 Secrets. I would love to have all three here before they are available most especially because though I intend to read them I really want them for the school where I am the librarian. My kids love fantasy/sci. fi. My favorite fairy tale is Beauty and the Beast. I seek out any redition of it, and enjoy the unusual, beautiful, twisted and odd. McKinley has two excellent ones, and I read a short story once (can’t remember collection or author) where the beast was female. Exceptional! I love the idea on their twist of faery. Looks fantastic I would love to read them. I bet they might be great for a bedtime read also for my tweenetts 🙂 Thanks for the opportunity. My favorite is the Iron King series by Julie Kagawa. My favorite fairy tale retellings are Beauty by Robin McKinley and Daughter of the Forest by Juliet Marillier. My favorite is the Fablehaven series of books by Brandon Mull. Oh, goodness I can’t wait to get my grimy hands on these books! My favourite books about faeries are probably the Wicked Lovely series, and also Seanan McGuire’s October Daye books. I also remember an episode of Goosebumps when I must have been about 13 I think, where a little girl finds faries and keeps them as pets, feeding them. At the end they kill her and it freaked me out for weeks afterwards. I prefer there to be darkness in faerie stories. That’s a tough question – I like A LOT of different fairie stories. I have to say I’m really loving the Fever series by KMM. I just started them and am really hooked. As for a movie, I really like the version of “A Midsummer Night’s Dream” with Michelle Pfeiffer. That was a fun fairie romp! 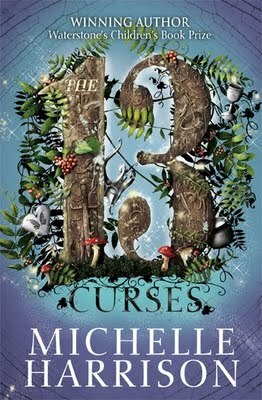 I have been hearing wonderful things about Michelle’s series (and I love the covers). I can’t wait to get started on it now! Thanks for the giveaway and great post. What a generous giveaway! Thanks for the chance. I think both my teens and I would love to read these books. I’ve been reading a lot of ‘fairy’ books lately… my favorite, huh? Hmmmm… I think I will go with Except the Queen by Jane Yolen & Midori Snyder. Oh my! I’ve had the Thirteen Treasures books on my to-read list for quite some time now. What a great giveaway! this trilogy looks excellent! thanks for the chance to win a set..
mm, favorite fairy tale? 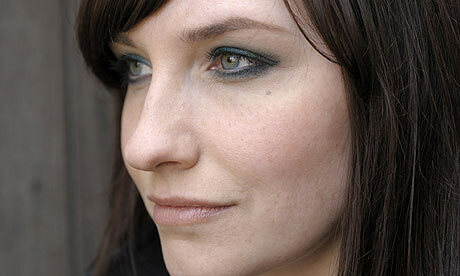 i love tam lin and east of the sun & west of the moon. favorite re-tellings? i love love donna jo napoli’s writing generally – maybe zel is my favorite. also shannon hale’s first book and robin mckinley of course. everything by her, not just the fairy tale ones. I love Brandon Mull’s Fablehaven series. The series also features fairies and he pretty much gave them a interesting twist. Fablehaven itself as a series is an awesome one. One that is so easy to get lost into. Love every page of it. Apart from the Andrew Lang books, I suppose Terry Pratchett’s “The Wee Free Men” and “A Hatful of Sky” would qualify as the most fun I’ve encountered in the last few years. I loved Enid Blyton so much when I was a kid! My daughter keeps telling I should read the 13 series because they are so good – maybe this is my chance! I like a fairy story in a series format because of the Merry Gentry series by Laurell K. Hamilton. She knows how to do it like no other; I hope to find the same in Michelle too. My favorite fairy stories are Irish folktales. My grandma used to tell them to me when I was little. working hard for his website, since here every information is quality based material.